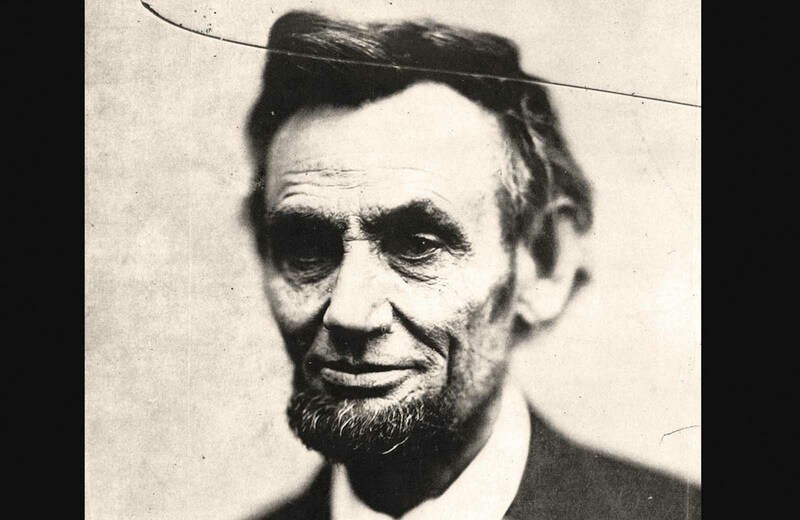 Abraham Lincoln, the 16th President of the United States, in a head-and-shoulders portrait taken by photographer Alexander Gardner on February 5, 1865. Traditionally called “last photograph of Lincoln from life”, this final photo in Lincoln’s last photo session was long thought to have been made on April 10, 1865, but more recent research has indicated the earlier date in February. The crack comes from the original negative, which was broken and discarded back in 1865. The entirety of the American Civil War took place while Lincoln was in office, starting a month after he was elected, and ending just days before his assassination in April of 1865. 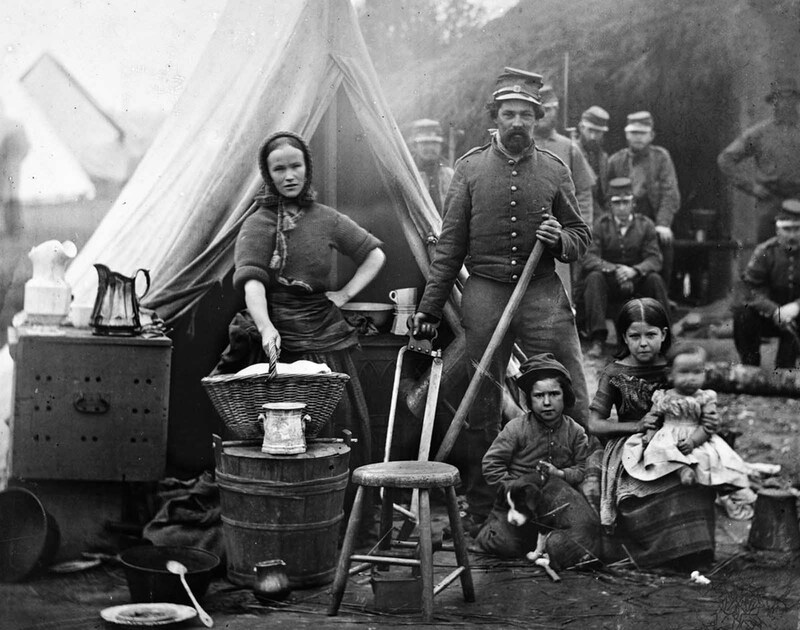 The second part of the American Civil War photo collection coves the people of the Civil War: the generals, slaves, civilians, politicians, and soldiers that lived through those turbulent years. Although photography was still in its infancy, war correspondents produced thousands of images, bringing the harsh realities of the frontlines to those on the home front in a new and visceral way. John Brown: A zealous, itinerant radical who crusaded violently against slavery in the 1850s. Brown moved to Kansas with his family in the mid-1850s to prevent the territory from becoming a slave state. In 1856, he and a band of vigilantes helped spark the Bleeding Kansas crisis when they slaughtered five border ruffians at the Pottawatomie Massacre. Three years later, Brown led another group of men in the Harpers Ferry Raid to incite a slave rebellion. He was captured during the raid and hanged shortly before the election of 1860. Brown’s death was cheered in the South but mourned in the North. James Buchanan: A pro-Southern Democrat who became the fifteenth president of the United States in 1856. Buchanan defeated John Frémont of the new Republican Party and former president Millard Fillmore of the Know-Nothing Party in one of the most hotly contested elections in U.S. history. During his term, Buchanan supported the Lecompton Constitution to admit Kansas as a slave state, weathered the Panic of 1857 , and did nothing to prevent South Carolina’s secession from the Union. Jefferson Davis: A former Senator from Mississippi who was selected as the first president of the Confederacy in 1861. Overworked and underappreciated by his fellow Confederates, Davis struggled throughout the Civil War to unify the Southern states under the central government they had established. Stephen Douglas: An influential Democratic senator and presidential candidate from Illinois. Douglas pushed the 1854 Kansas-Nebraska Act through Congress to entice railroad developers to build a transcontinental railroad line in the North. The act opened Kansas and Nebraska territories to slavery and thus effectively repealed the Missouri Compromise of 1820. A champion of popular sovereignty, he announced his Freeport Doctrine in the Lincoln-Douglas debates against Abraham Lincoln in 1858. Although Douglas was the most popular Democrat, Southern party members refused to nominate him for the presidency in 1860 because he had rejected the Lecompton Constitution to make Kansas a slave state. As a result, the party split: Northern Democrats nominated Douglas, while Southern Democrats nominated John C. Breckinridge. In the election of 1860 , Douglas toured the country in an effort to save the Union. Ulysses S. Grant: The Union’s top general in the Civil War, who went on to become the eighteenth U.S. president. Nicknamed “Unconditional Surrender” Grant, he waged total war against the South in 1863 and 1864. 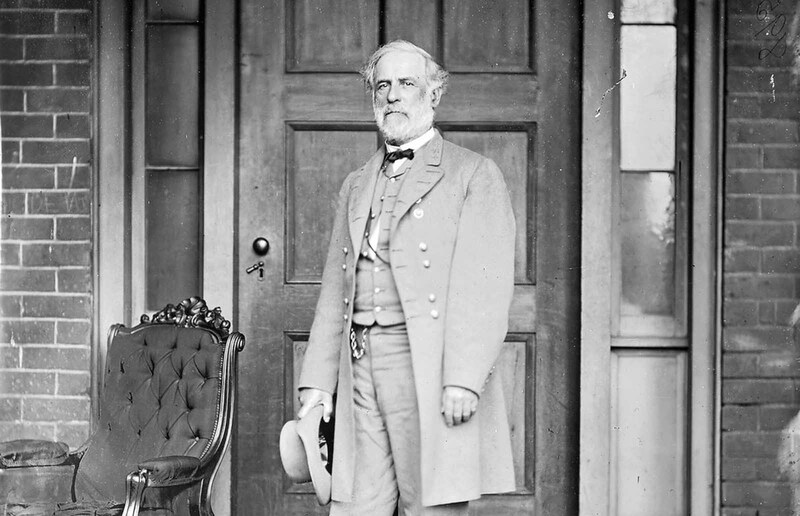 Robert E. Lee: Arguably the most brilliant general in the U.S. Army in 1860, who turned down Abraham Lincoln’s offer to command the Union forces in favor of commanding the Army of Northern Virginia for the Confederacy. Although Lee loved the United States, he felt he had to stand by his native state of Virginia. His defeat at the Battle of Gettysburg proved to be the turning point in the war in favor of the North. Lee made the Confederacy’s unconditional surrender at Appomattox Courthouse to Ulysses S. Grant in April 1865 to end the Civil War. Abraham Lincoln: A former lawyer from Illinois who became the sixteenth president of the United States in the election of 1860. Because Lincoln was a Republican and was associated with the abolitionist cause, his election prompted South Carolina to secede from the Union. Lincoln, who believed that the states had never truly left the Union legally, fought the war until the South surrendered unconditionally. During the war, in 1863, Lincoln issued the largely symbolic Emancipation Proclamation to free all slaves in the South. Just at the war’s end, in April 1865, Lincoln was assassinated by John Wilkes Booth in Washington, D.C.
George McClellan: A young, first-rate U.S. Army general who commanded the Union army against the Confederates during the Civil War. Unfortunately, McClellan proved to be overly cautious and was always reluctant to engage Confederate forces at a time when Abraham Lincoln badly needed military victories to satisfy Northern public opinion. McClellan did manage to defeat Robert E. Lee at the Battle of Antietam in 1862, which gave Lincoln the opportunity to issue the Emancipation Proclamation. Lincoln eventually fired McClellan, however, after the general began to criticize publicly the president’s ability to command. In 1864, McClellan ran for president as a Peace Democrat on a platform for peace against Lincoln but was defeated. Franklin Pierce: Fourteenth president of the United States, elected in 1852 as a proslavery Democrat from New England. Pierce combined his desire for empire and westward expansion with the South’s desire to find new slave territories. He tacitly backed William Walker’s attempt to seize Nicaragua and used the Ostend Manifesto to try to acquire Cuba from Spain. Pierce also oversaw the opening of trade relations with Japan, upon the return of Commodore Matthew Perry, and authorized the Gadsden Purchase from Mexico in 1853. 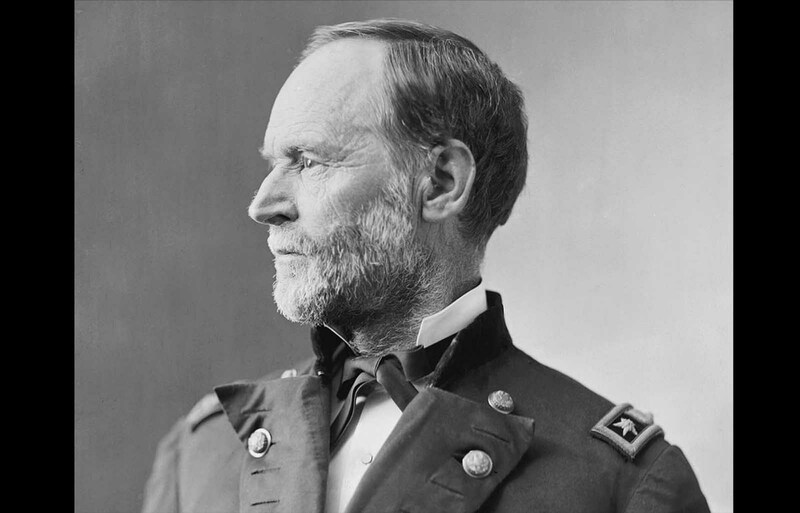 William Tecumseh Sherman: A close friend of Ulysses S. Grant who served as a general in the Union army during the Civil War. 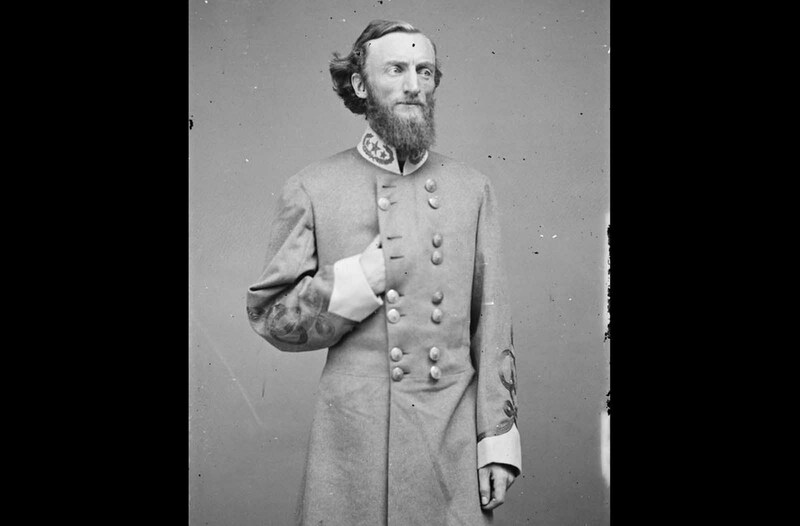 Sherman, like Grant, understood that the war would only truly be won when the Union forces had broken the will of the Southern public to fight. Sherman is best known for the total war he and his expedition force waged on the South during his March to the Sea. Charles Sumner: A senator from Massachusetts who delivered an antislavery speech in the wake of the Bleeding Kansas crisis in 1856. In response, Sumner was caned nearly to death by South Carolinian congressman Preston Brooks on the Senate floor. The attack indicated just how passionately some Southerners viewed the popular sovereignty and slavery issue. Zachary Taylor: A hero of the Mexican War who became the second and last Whig president in 1848. In order to avoid controversy over the westward expansion of slavery in the Mexican Cession, Taylor campaigned without a solid platform. He died after only sixteen months in office and was replaced by Millard Fillmore. 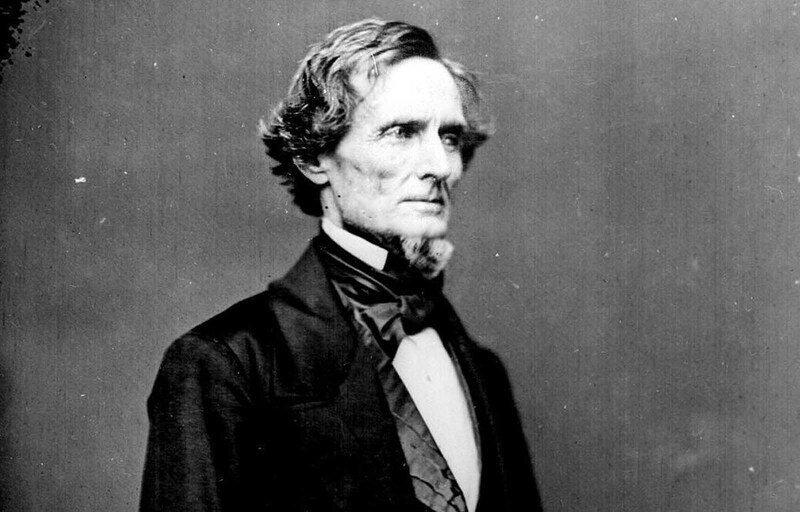 Jefferson Davis, a former United States Secretary of War and Senator from the State of Mississippi, served as the President of the Confederate States of America from 1861-1865. After the war, he was captured, indicted for treason, and imprisoned for two years — after which he was freed on bail. His case was eventually dropped in 1869, and he lived another twenty years, passing away at the age of 81. A group men from Company B, U.S. 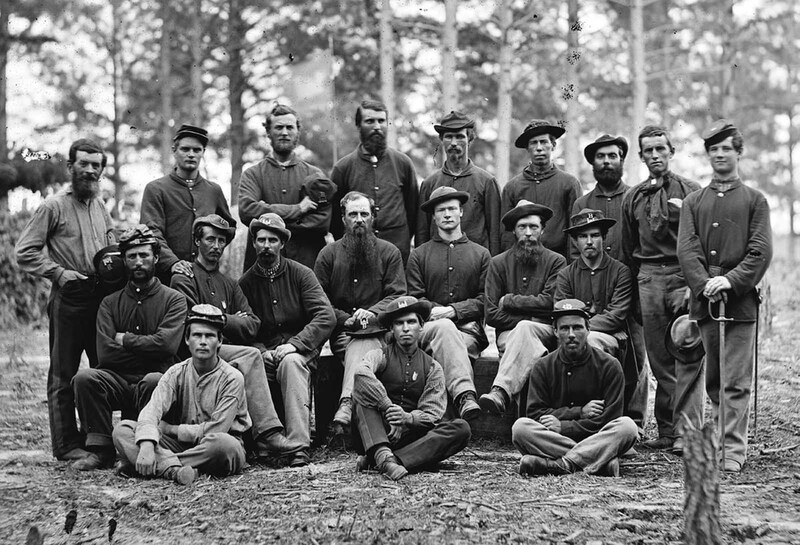 Engineer Battalion, near Petersburg, Virginia in August of 1864. 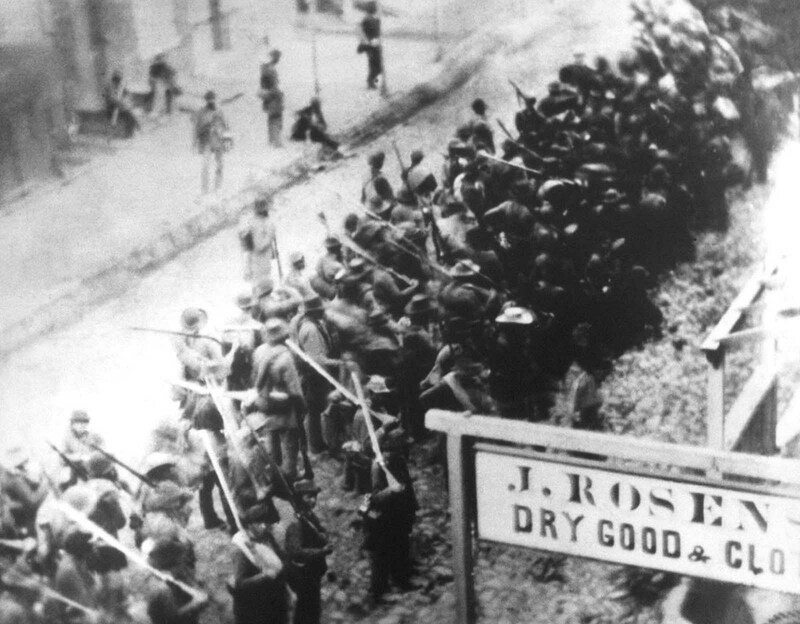 Confederate Soldiers on the march through enemy occupied Frederick, Maryland in 1862. 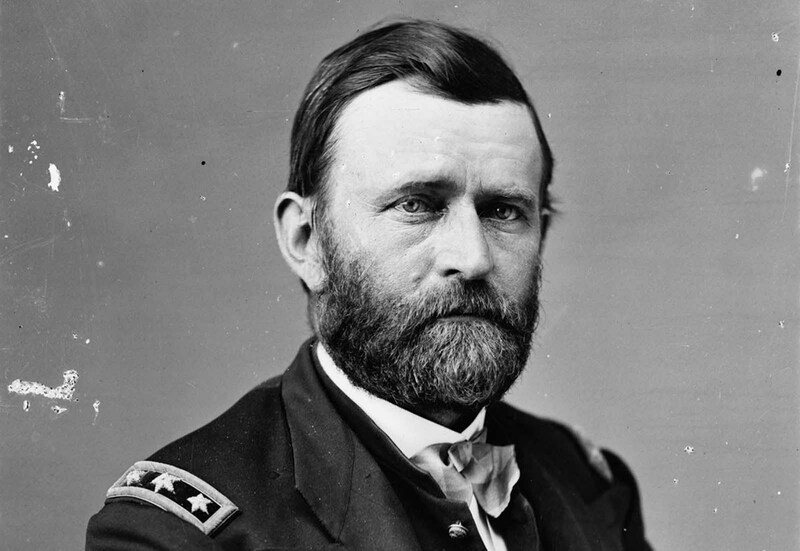 Union General Ulysses S. Grant served as Commanding General of the Army during the Civil War. After the war, his popularity in the North helped him to win the U.S. presidency in 1868, and again in 1872. The routines of camp life of the 31st Penn. Infantry (later, 82d Penn. 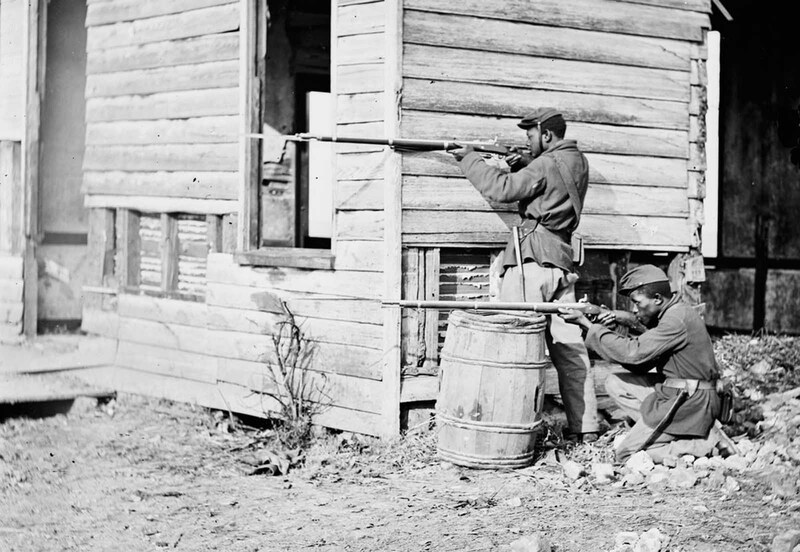 Infantry) at Queen’s farm, vicinity of Fort Slocum, Washington, District of Columbia, during the Civil War in 1861. 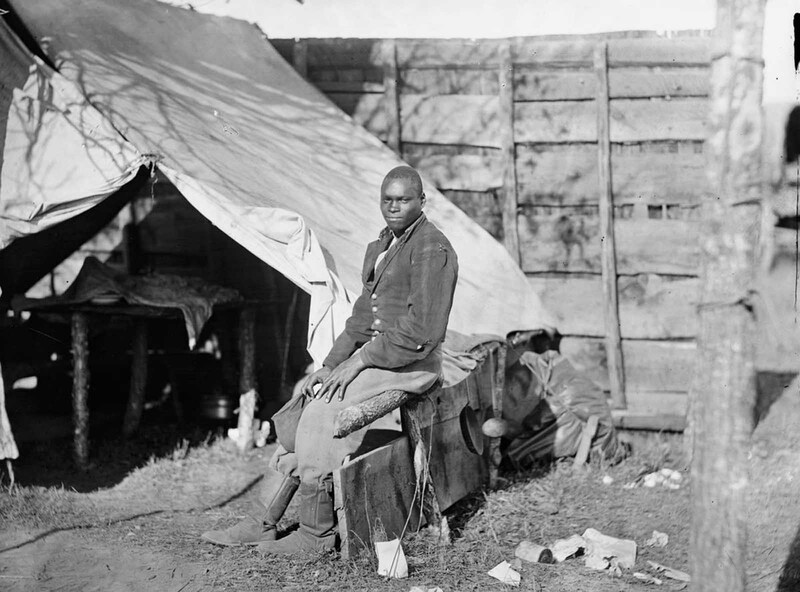 Three different photographs of Peter, a slave from Baton Rouge, Louisiana, ca. 1863. The scars are a result of a whipping by his overseer Artayou Carrier, who was subsequently fired by the master. It took two months to recover from the beating. These photographs were widely distributed in the North during the war. Also called “Gordon”, Peter later enlisted in the Union Army. 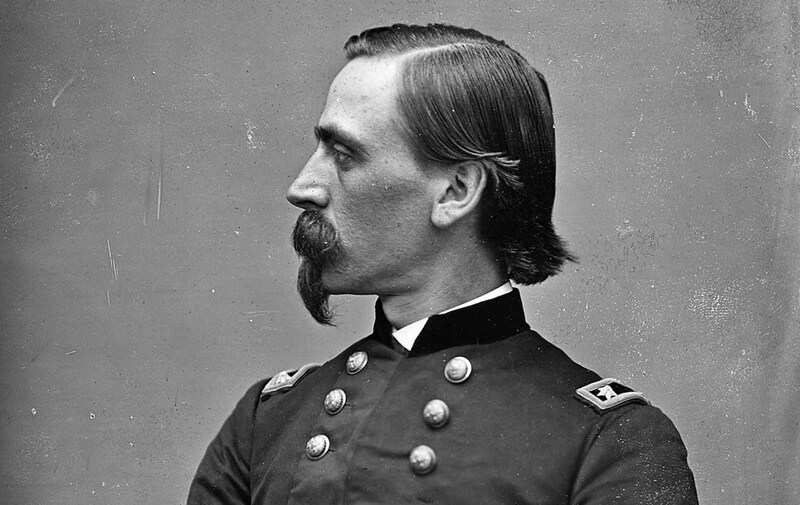 Adelbert Ames served as a Union Army general during the War, leading men in numerous battles. After the war, he served as military governor, Senator and civilian governor in Reconstruction-era Mississippi. Ames lived a long life, passing away in 1933, at the age of 97. 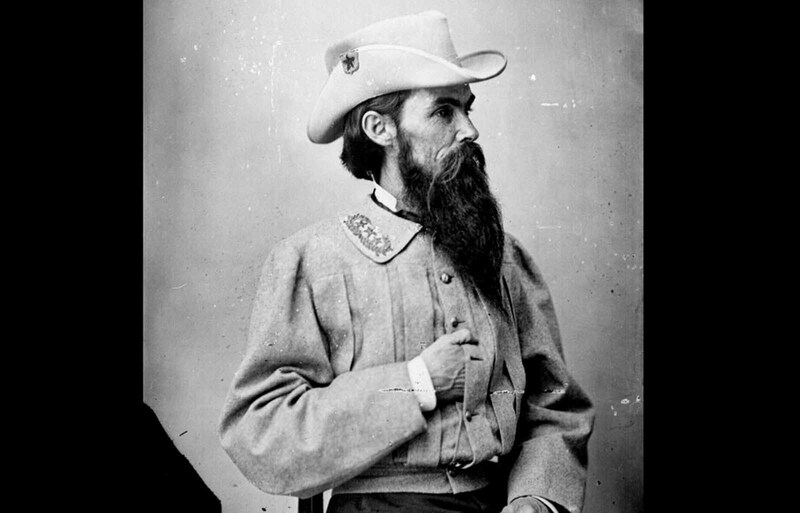 William Mahone was a civil engineer, railroad executive, and ardent supporter of the secession of the South. In 1861, after Virginia seceded, Mahone — still a civilian — orchestrated the capture of the Gosport Shipyard in in Portsmouth, Virginia, driving an empty passenger train loudly into town, bluffing the Federal troops into abandoning the shipyard. He later took a commission as a colonel in the Confederate Army. After the war, Mahone served a term as the U.S. Senator from Virginia, in 1881. 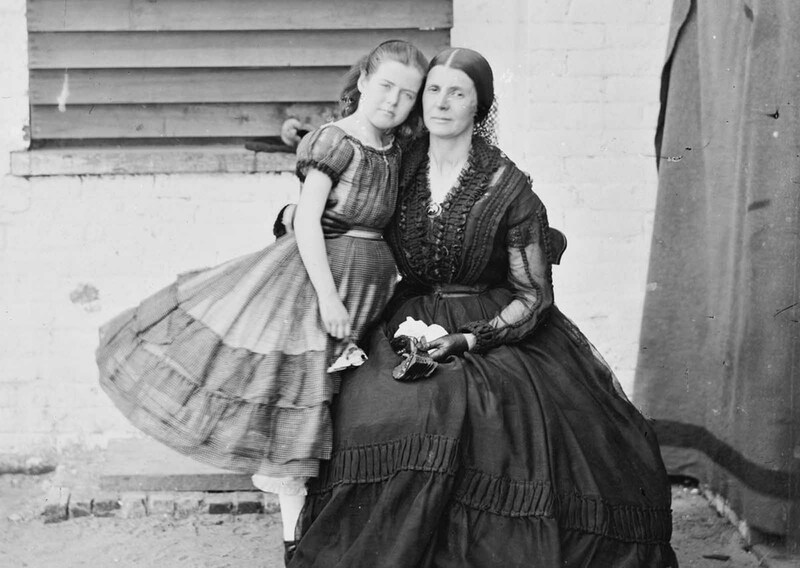 Rose O’Neal Greenhow, “Wild Rose”, poses with her daughter inside the old Capitol Prison in Washington, District of Columbia, Greenhow, a Confederate spy, used her social ties in the Washington area to help her pass information to the South. She was apprehended by Allan Pinkerton in 1861, and held for nearly a year. 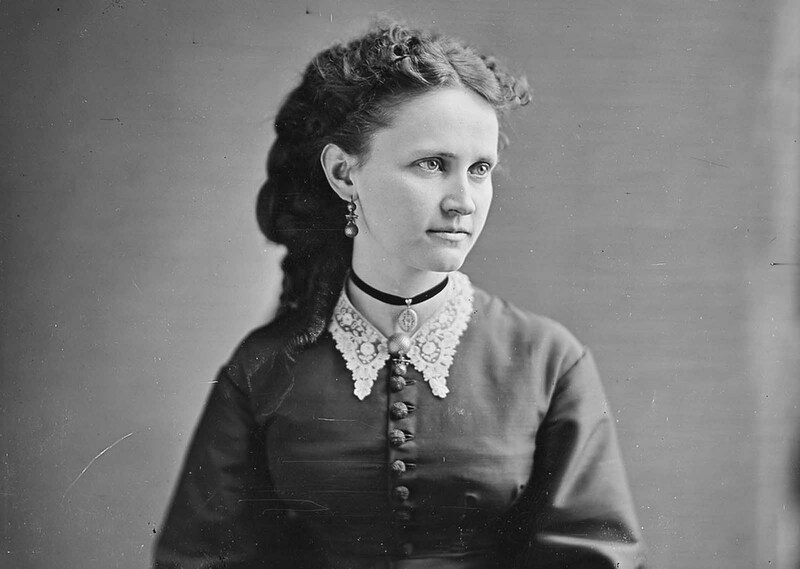 She was released, deported to Richmond, Virginia, and welcomed heartily by southerners. She served as a diplomat for the Confederacy, traveling to Europe, and profiting from a popular memoir she wrote in London in 1863. In October of 1864, she was sailing home aboard a blockade runner, pursued by a Union ship near North Carolina. Her ship ran aground, and Greenhow drowned during an escape attempt, after her rowboat capsized. 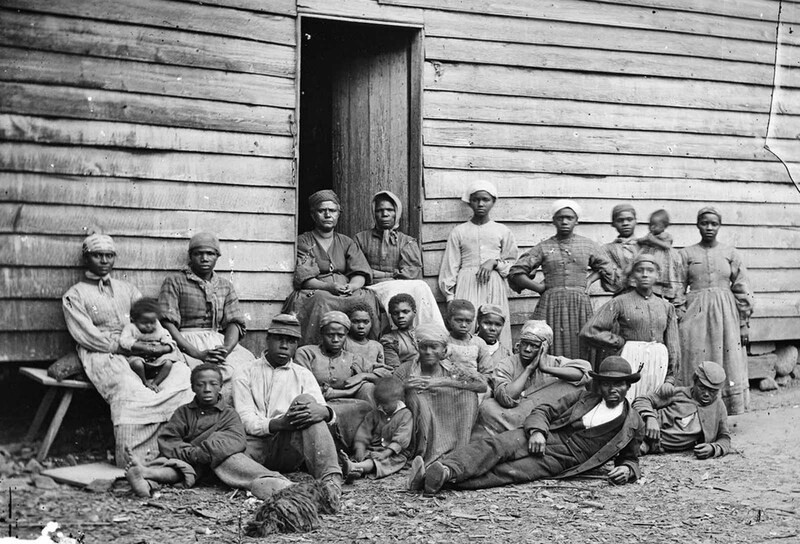 A group of “contrabands” (a term used to describe freed or escaped slaves) in front of a building in Cumberland Landing, Virginia, on May 14, 1862. William Tecumseh Sherman, a graduate of the United States Military Academy at West Point, served as a General in the Union Army, commanding several campaigns. 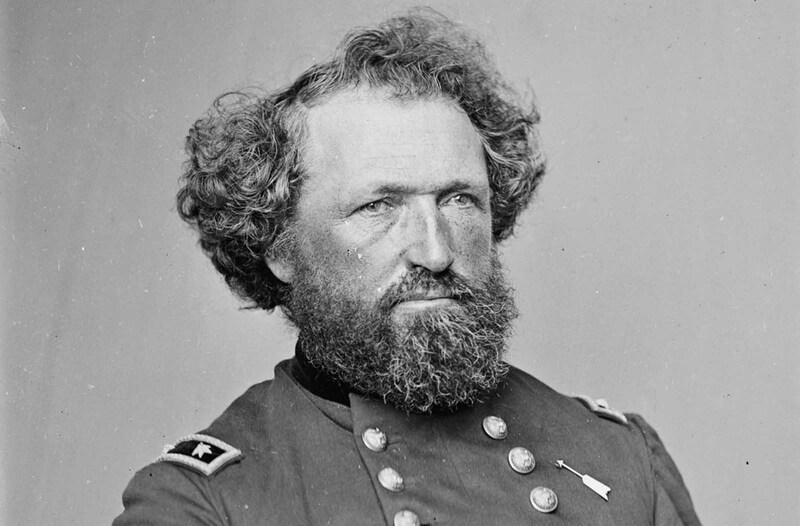 Perhaps best known was his capture of Atlanta, Georgia, after which his troops began “Sherman’s March to the Sea”, inflicting massive damage to military and civilian infrastructure during a month-long march toward the coast, ending with the capture of Savannah, Georgia. 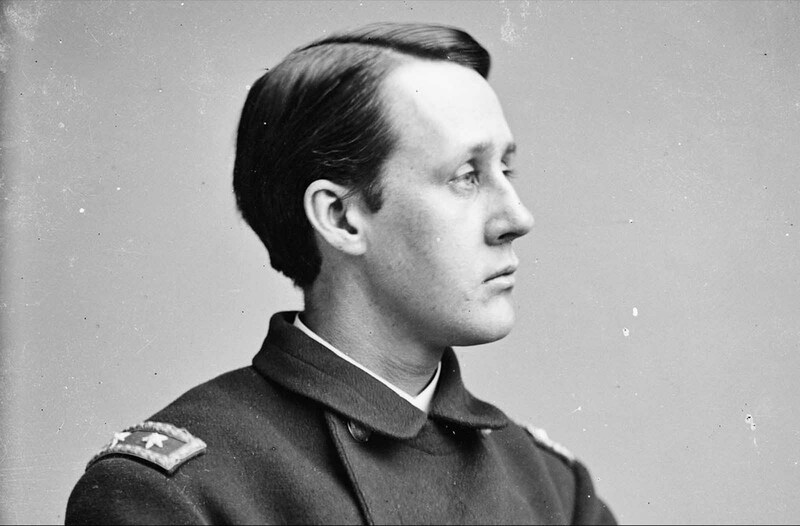 Francis C. Barlow entered the Civil War as enlisted men in the Union Army and ended it as general. Wounded several times, Barlow survived the war, later serving as the New York Secretary of State and New York State Attorney General. 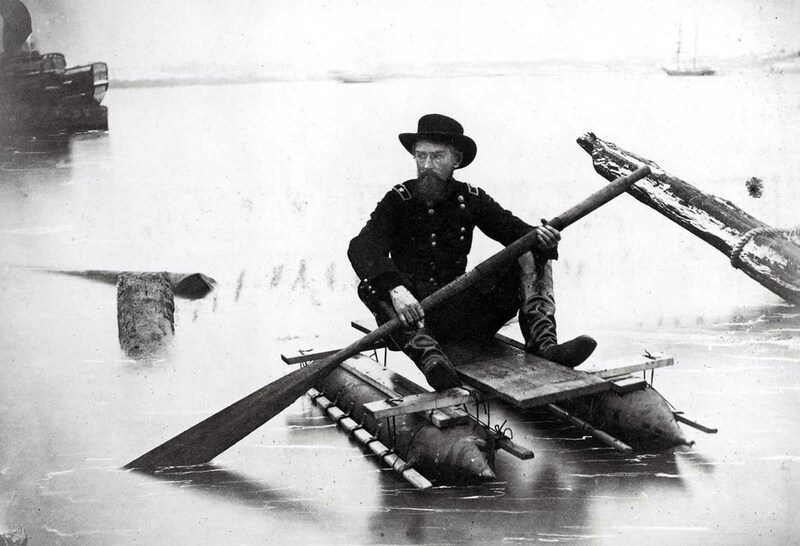 Union General Herman Haupt, a civil engineer, moves across the Potomac River in a one-man pontoon boat that he invented for scouting and bridge inspection in an image taken between 1860 and 1865. Haupt, an 1835 graduate of West Point, was chief of construction and transportation of U.S. military railroads during the war. 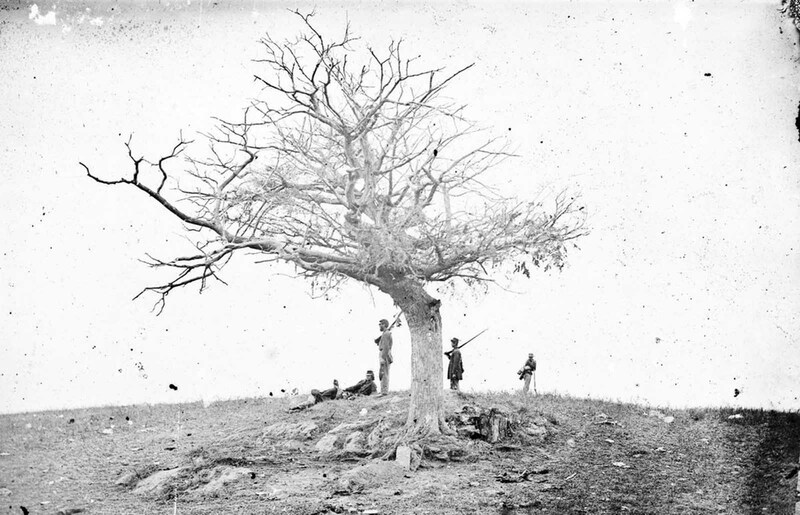 A lone grave (bottom center), near Antietam, Maryland in September of 1862. Frederick Douglass, ca. 1879. 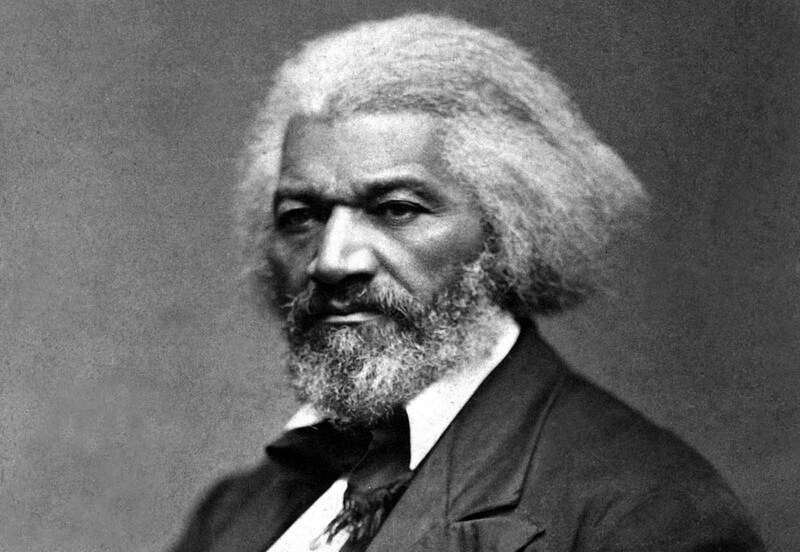 Born a slave in Maryland, Douglass escaped as a young man, eventually becoming an influential social reformer, a powerful orator and a leader of the abolitionist movement. 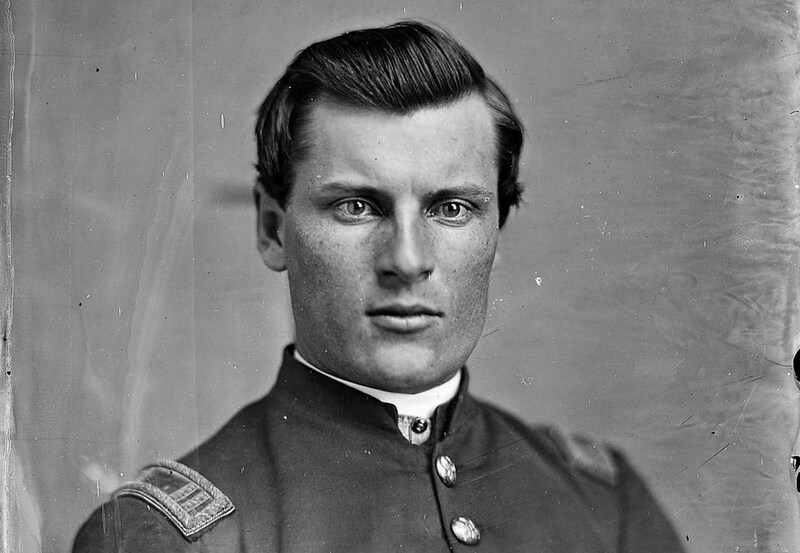 An unidentified Union officer, photographed by Mathew Brady. 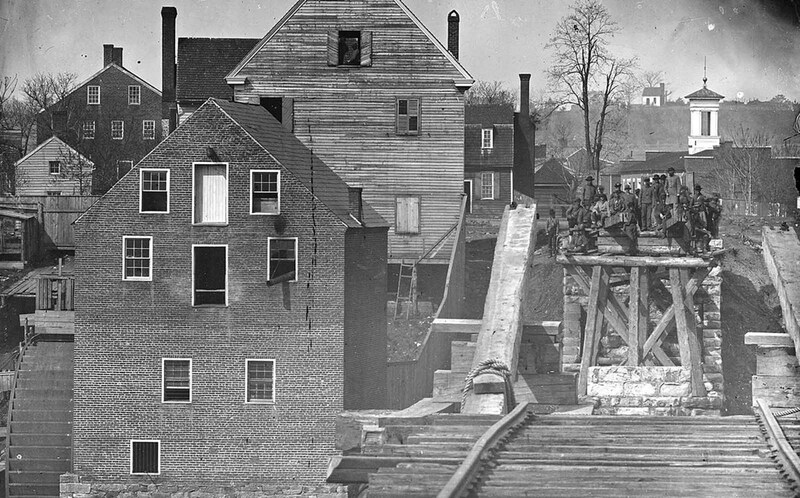 Confederate troops viewed from a distance of one mile, on the opposite side of a destroyed bridge in Fredericksburg, Virginia, by Union photographer Mathew Brady. 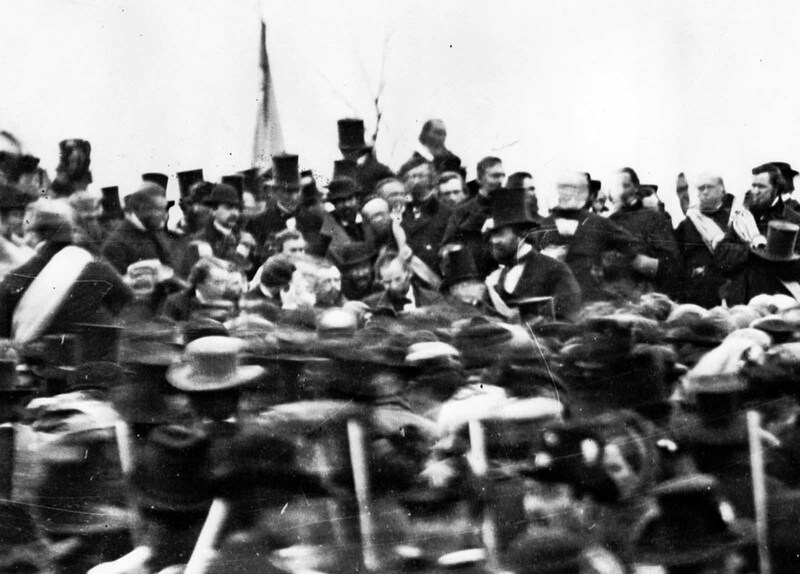 President Abraham Lincoln (center, hatless), surrounded by a crowd during his famous Gettysburg Address, in Gettysburg, Pennsylvania, on November 19, 1863. General James Scott Negley of Pennsylvania. At the start of the war, he was appointed brigadier general in the Pennsylvania Militia, and went on to command troops in several battles. 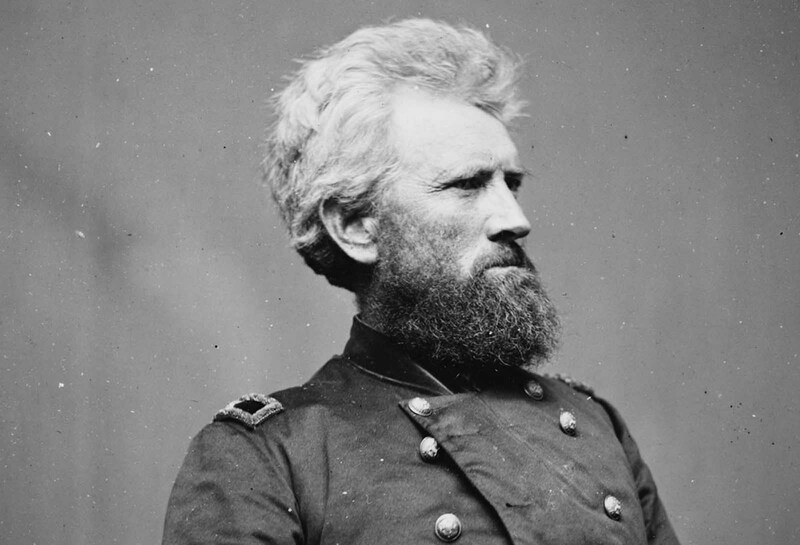 After his division narrowly escaped disaster during the Battle of Chickamauga, Negley was relieved of command. Negley served several administrative posts, retiring from the army in January of 1865. 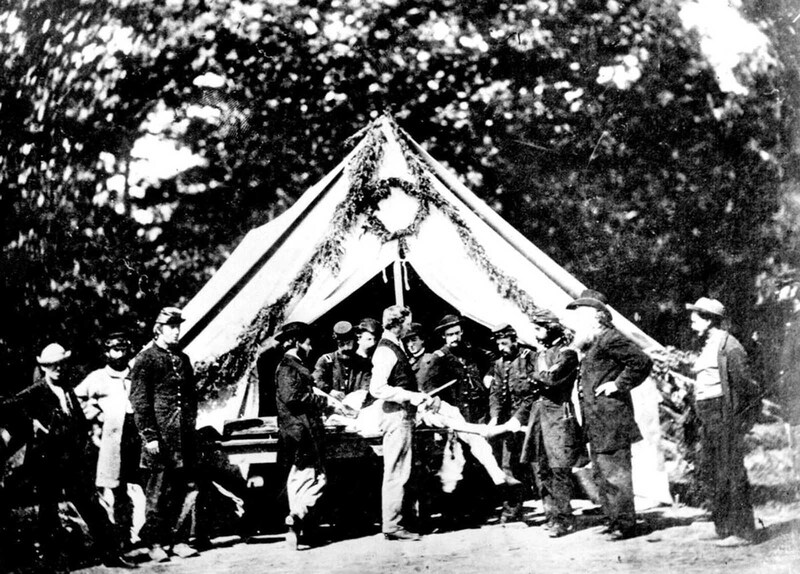 Amputation in a Field Hospital, Gettysburg. 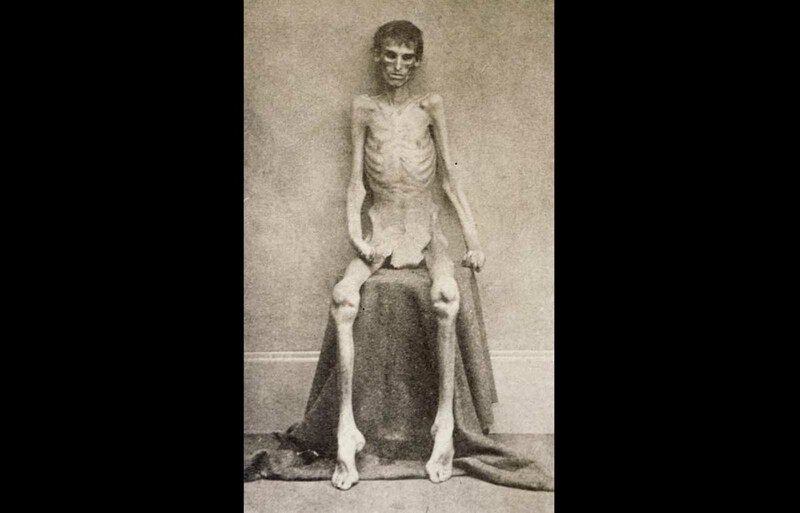 A nearly-starved Union soldier who survived imprisonment in the notorious Confederate prison in Andersonville, Georgia. 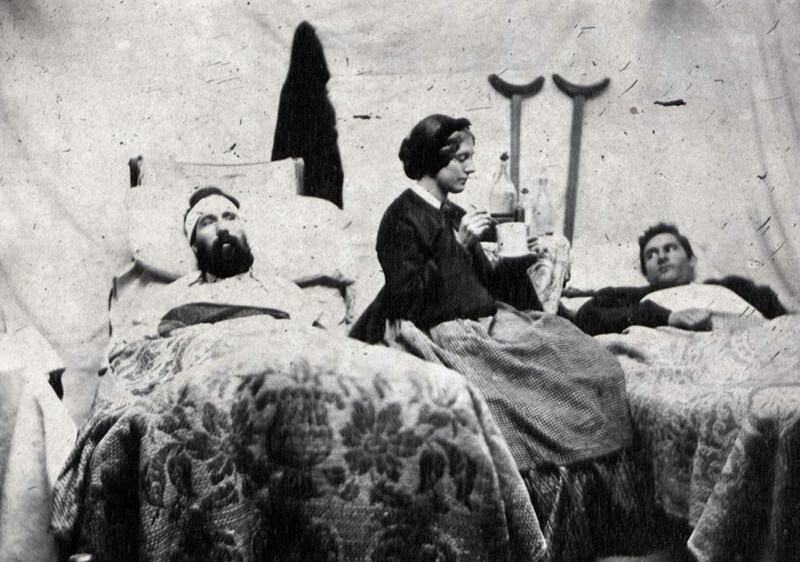 Nurse Anne Bell tending to wounded soldiers in a Union hospital, ca. 1863. 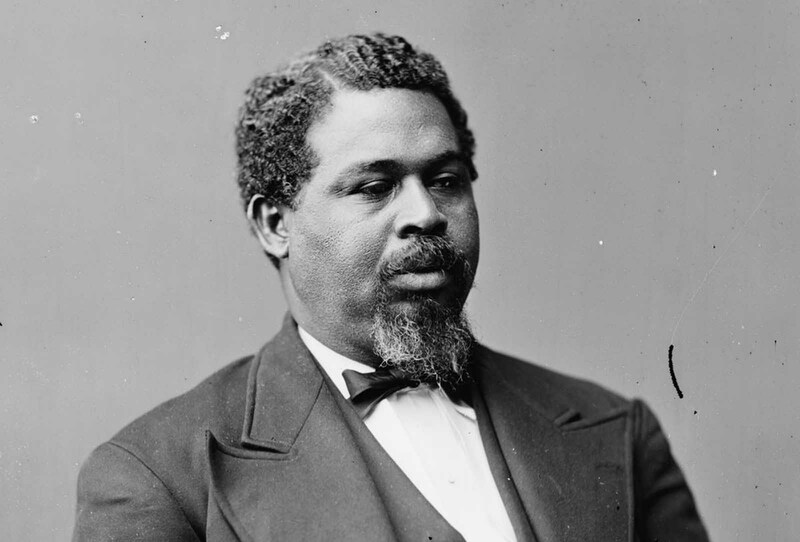 Robert Smalls was born a slave in South Carolina. During the Civil War, Smalls steered the CSS Planter, an armed Confederate military transport. On May 12, 1862, the Planter’s three white officers decided to spend the night ashore. About 3 am, Smalls and seven of the eight enslaved crewmen decided to make a run for the Union vessels that formed the blockade, as they had earlier planned. Smalls dressed in the captain’s uniform and had a straw hat similar to that of the white captain. The Planter stopped at a nearby wharf to pick up Smalls’ family and the relatives of other crewmen, then they sailed toward Union lines, with a white sheet as a flag. After the war, he went on to serve in the United States House of Representatives, representing South Carolina. 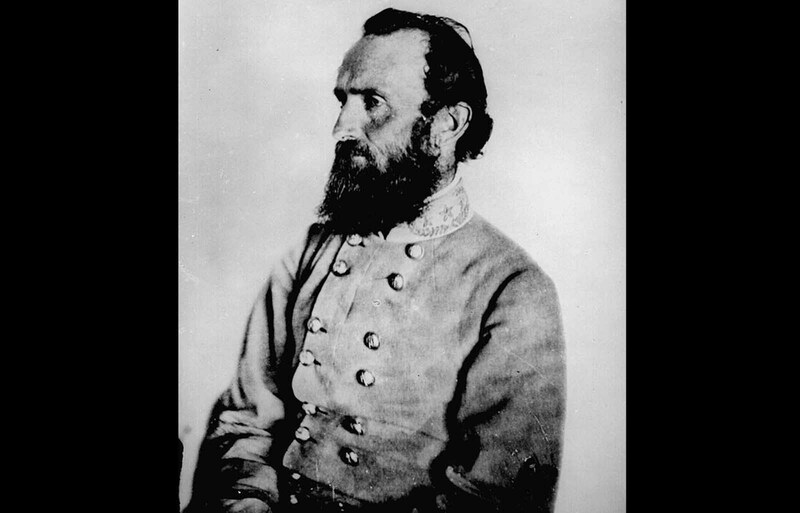 Confederate general Stonewall Jackson. Considered a shrewd tactician, Jackson served in several campaigns, but during the Battle of Chancellorsville he was accidentally shot by his own troops, losing an arm to amputation. He died of complications of pneumonia eight days later, quickly becoming celebrated as a hero in the South. 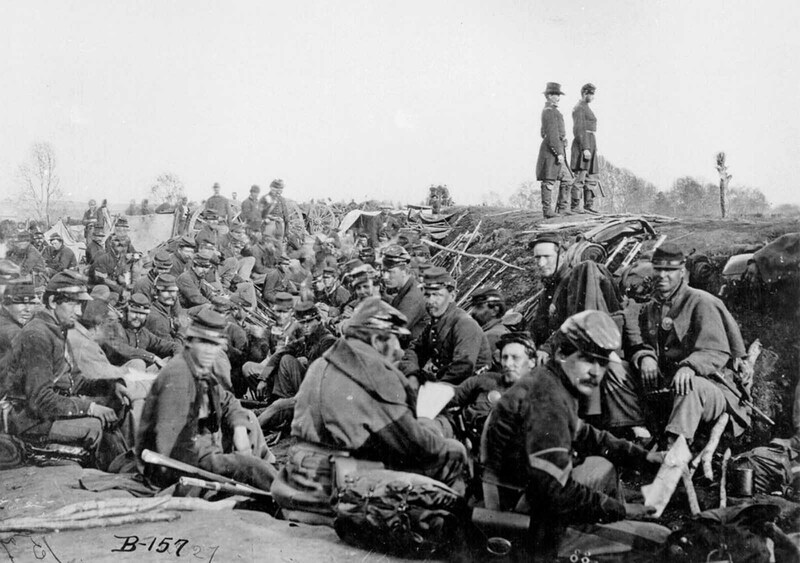 Soldiers of the VI Corps, Army of the Potomac, in trenches before storming Marye’s Heights at the Second Battle of Fredericksburg during the Chancellorsville campaign, Virginia, May 1863. This photograph (Library of Congress #B-157) is sometimes labeled as taken at the 1864 Siege of Petersburg, Virginia. 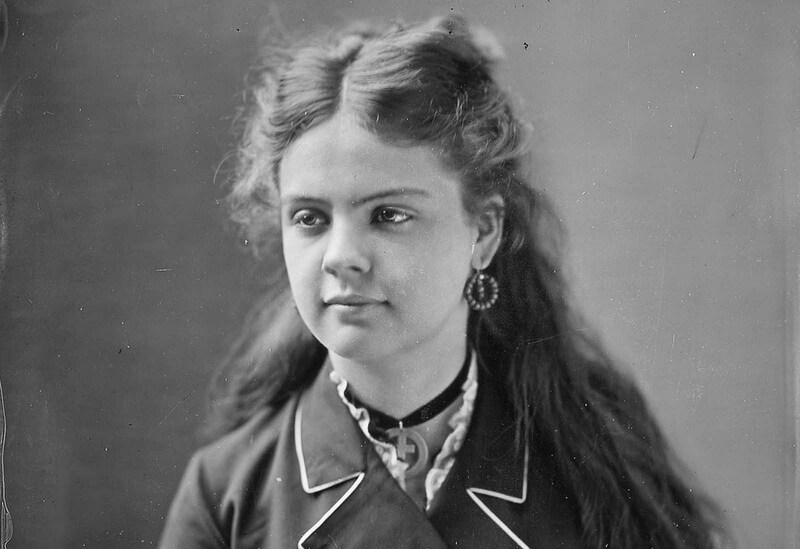 A portrait of Miss E. Demine, taken by photographer Mathew Brady. General George Armstrong Custer, a United States Army officer and cavalry commander in the American Civil War and the Indian Wars. 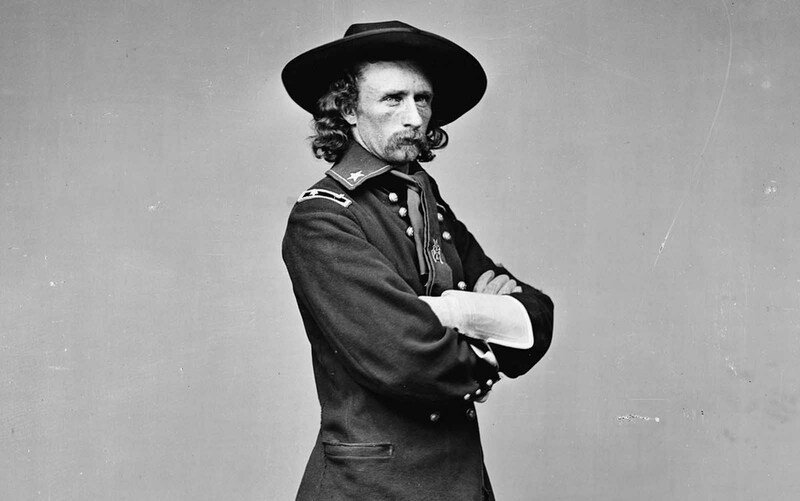 Custer built a strong reputation during the Civil War, and afterwards he was sent west to fight in the Indian Wars. Custer was later defeated and killed at the famous Battle of the Little Bighorn in in eastern Montana Territory, in 1876. 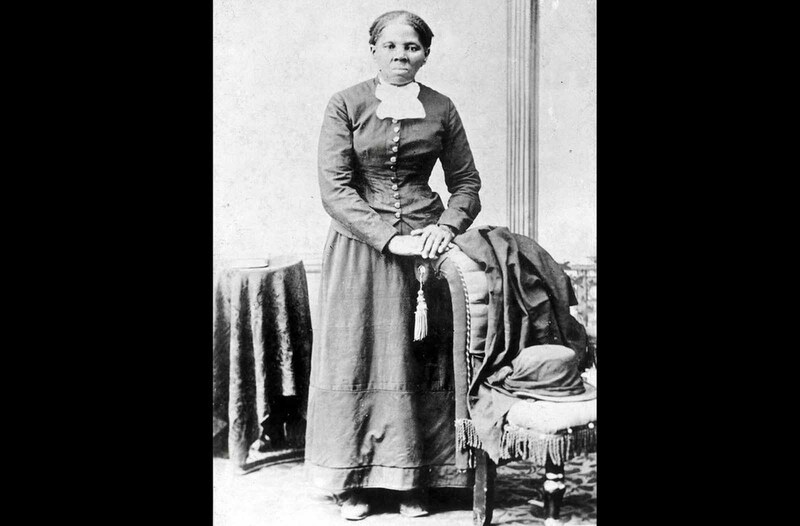 Harriet Tubman, in a photograph dating from 1860-75. Tubman was born into slavery, but escaped to Philadelphia in 1849, and provided valuable intelligence to Union forces during the Civil War. Sgt. James H. Harris, a Marylander and member of Company B, Thirty-eight Fifth U.S. Colored Troops, in a photograph taken between 1864-1898. 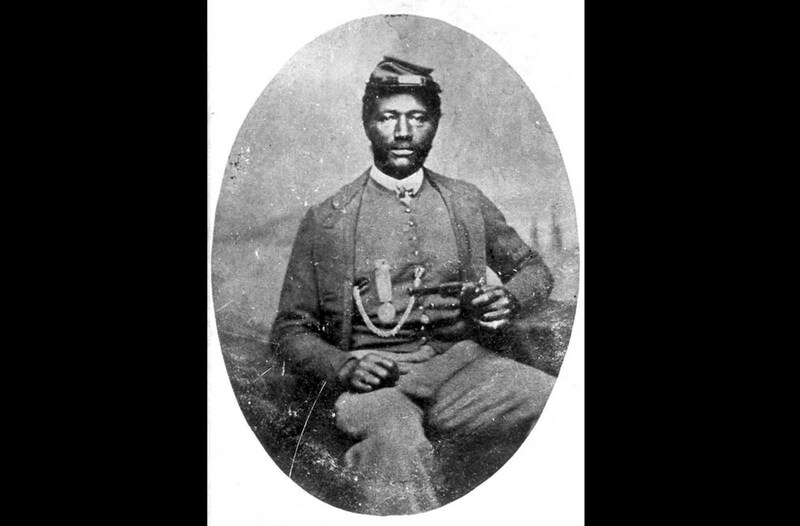 Harris was one of 23 black Union soldiers, who served with such distinction during the Civil War that he received the Medal of Honor. Miss Walton, in a portrait taken by photographer Mathew Brady. 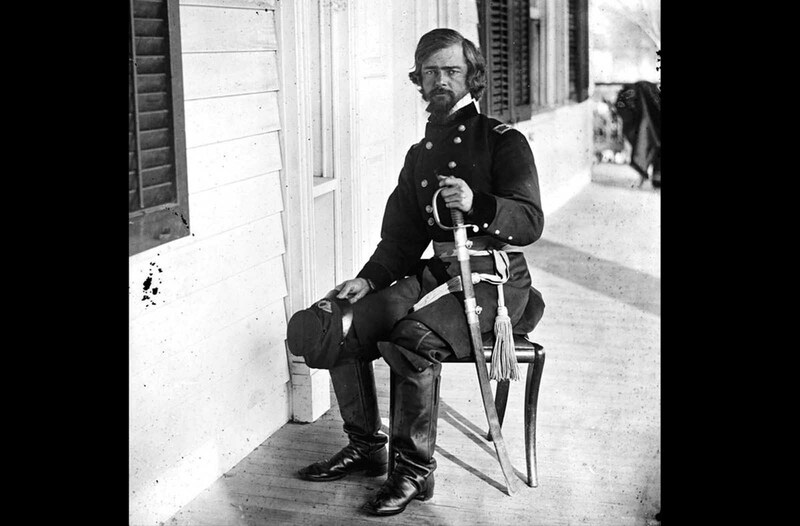 Union General Isaac I. Stevens, seated on a porch in March of 1862, near Beaufort, South Carolina. Stevens, formerly the first governor of Washington Territory, was killed in action at the Battle of Chantilly on September 1, 1862 after picking up the fallen regimental colors of his old regiment, shouting “Highlanders, my Highlanders, follow your general!” Charging with his troops while carrying the banner of Saint Andrew’s Cross, Stevens was struck in the temple by a bullet and died instantly. Portrait of Brigadier General Robert Huston Milroy, officer of the Union Army. Milroy most noted for his defeat at the Second Battle of Winchester in 1863. He later became Superintendent of Indian Affairs in the Washington Territory. 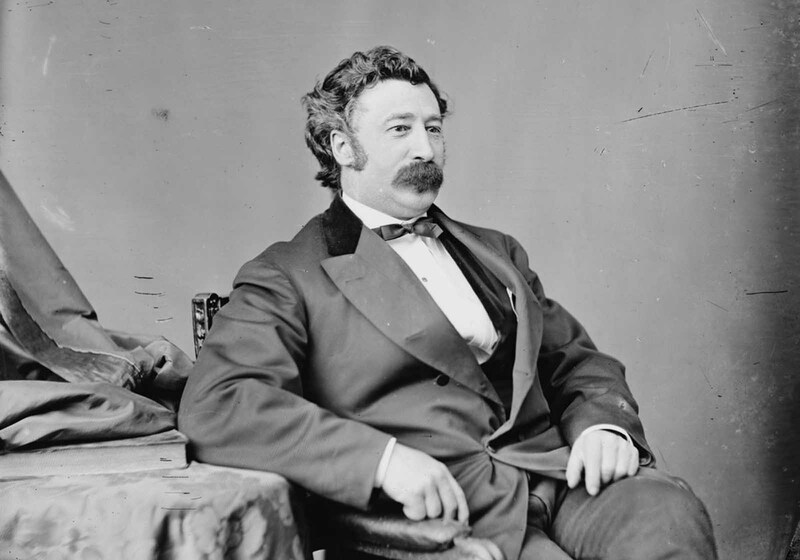 Milroy died in Olympia, Washington in 1890, at the age of 73. Maryland, Antietam, President Lincoln on the Battlefield Alexander Gardner, October 1862. Union Major General Ambrose E. Burnside, conducted campaigns in North Carolina and Tennessee during the war. Afterwards he served as the Governor, and later as U.S. Senator from Rhode Island. 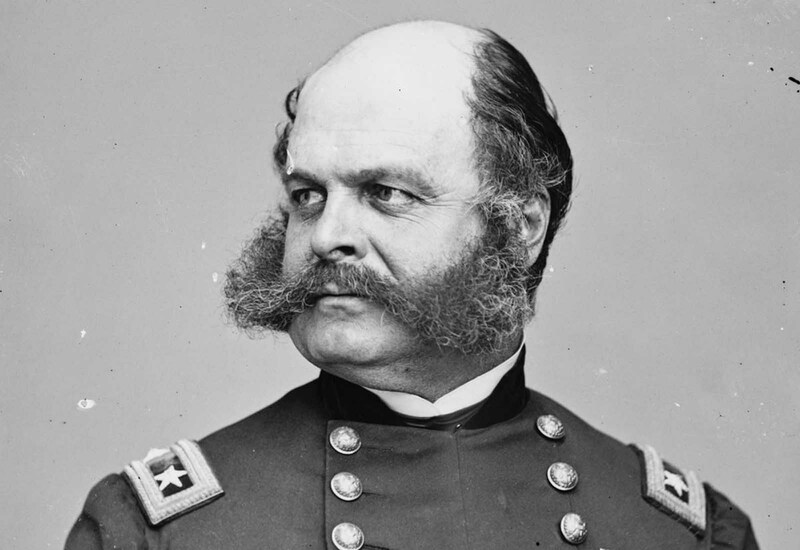 His distinctive style of facial hair is now known as sideburns, derived from his last name. 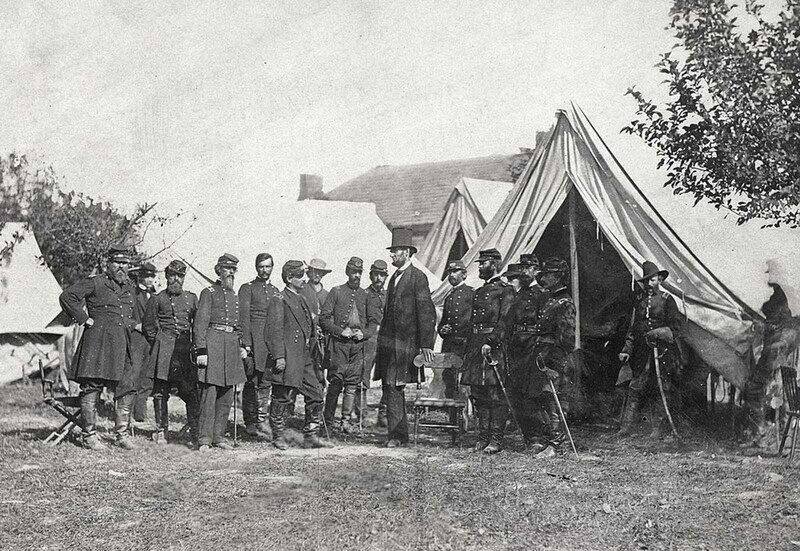 John Henry, a servant, at the headquarters of the 3rd Army Corps, Army of the Potomac in October of 1863. 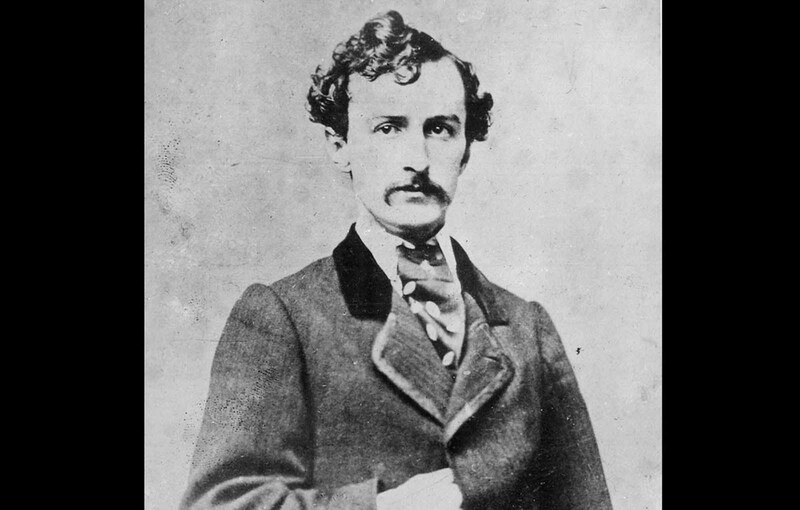 Stage actor and Confederate sympathize John Wilkes Booth, in a portrait taken some time before he assassinated President Abraham Lincoln in 1865. Booth and a group of co-conspirators planned to kill Lincoln, Vice President Andrew Johnson, and Secretary of State William Seward, hoping to assist the Confederacy, despite the earlier surrender of Robert E. Lee. After he shot Lincoln at Ford’s Theater, in Washington, District of Columbia, on April 14, 1865, he fled to a farm in rural northern Virginia, but was tracked down 12 days later, and killed by a Union soldier. Union Major General Mortimer D. Leggett, photographed sometime between 1860 and 1865. 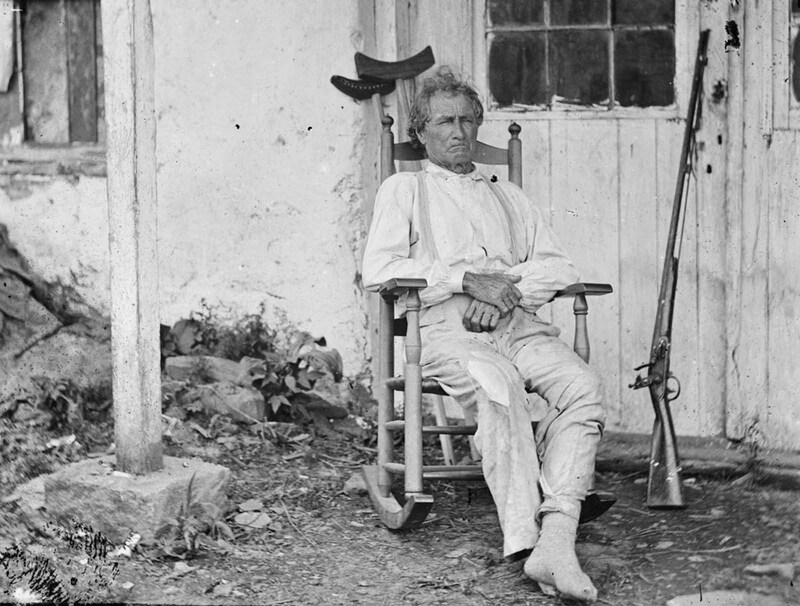 John L. Burns, the “old hero of Gettysburg,” with gun and crutches, in Gettysburg, Pennsylvania, in 1863. During the Battle of Gettysburg, Burns, a 70-year-old civilian living nearby, grabbed his flintlock musket and powder horn and walked out to the battlefield to join in with Union troops. The soldiers took him in, and Burns served well as a sharpshooter. During a withdrawal, Burns was wounded several times and left on the field. he managed to get himself to safety, his wounds were treated, and his story elevated him to the status of National Hero briefly. A picket station of Colored troops near Dutch Gap canal, Dutch Gap, Virginia, in November of 1864. Confederate General J.D. Marmaduke in uniform. 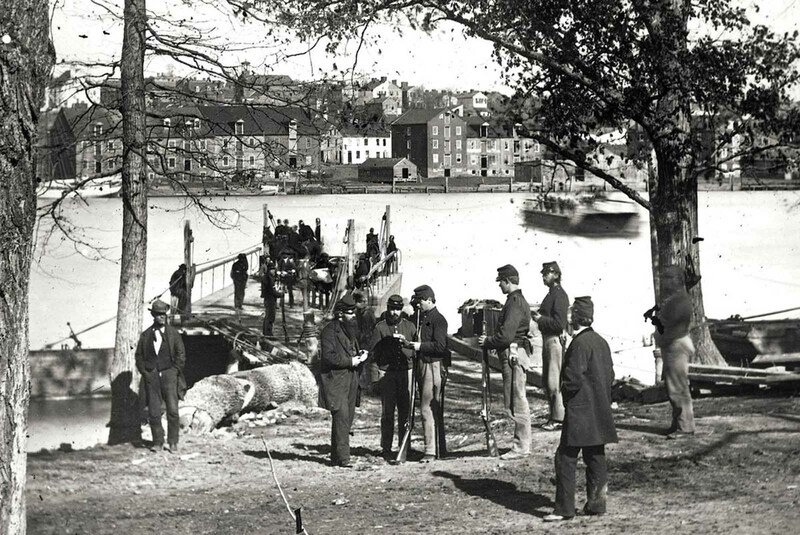 Guards examine passes near Georgetown, Washington District of Columbia, on the banks of the Potomac River, during the Civil War in 1865. 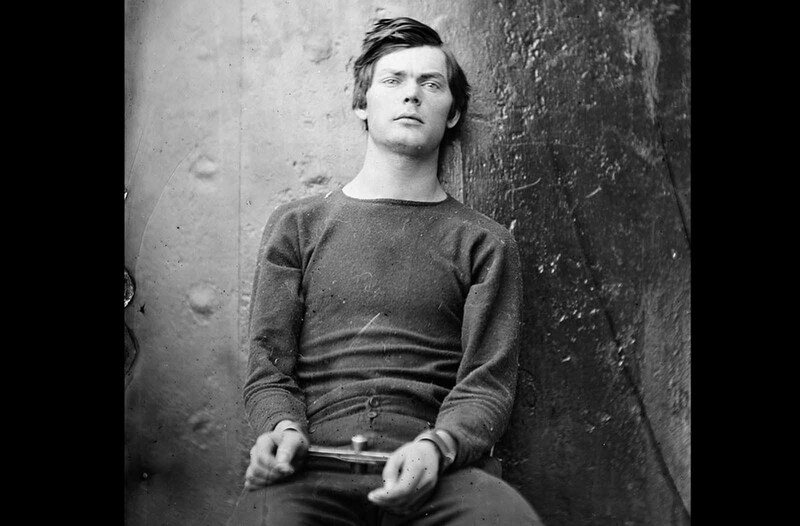 Conspirator Lewis Powell (Payne), in a sweater, seated and manacled in the Washington Navy Yard, Washington D.C. in April of 1865. Powell attempted unsuccessfully to assassinate United States Secretary of State William H. Seward in his home on April 14, 1865. he was soon caught, and became one of four people hanged for the Lincoln assassination conspiracy. 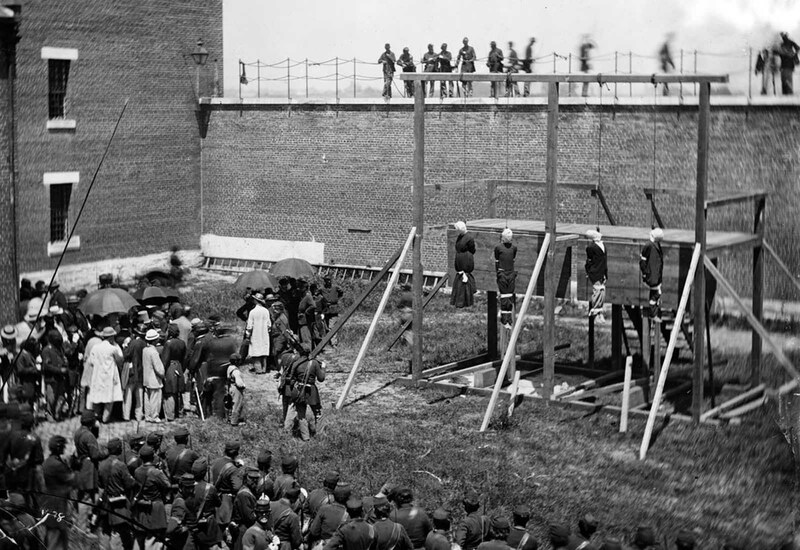 The hanging hooded bodies of the four conspirators, Mary Surratt, Lewis Powell (Payne), David Herold, and George Atzerodt, executed on July 7, 1865 at Fort McNair in Washington, District of Columbia, All four had been convicted of taking part in the conspiracy to assassinate Abraham Lincoln. 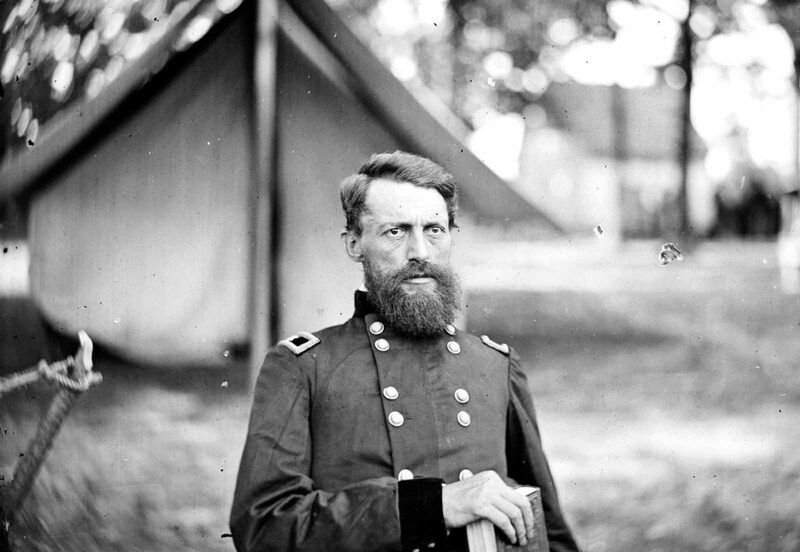 Union General George Stoneman, in a camp near Fair Oaks, Virginia in June of 1862. Stoneman was a career Army officer, and took part in several campaigns throughout the war. Afterwards, he moved first to Arizona, then to California, where, in 1882, he was elected governor of California and served a single four-year term.